Jim Wicks, the Motorola executive responsible for the design of many of the top mobile products of the last decade, will join Northwestern Engineering in July. 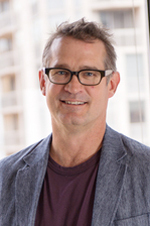 Wicks, currently senior vice president of consumer experience design at Motorola, will be a full-time faculty member of the Segal Design Institute. In this role, he will bring his decades of user-centered design experience to the institute’s undergraduate and graduate programs. He will teach design courses and serve as a mentor for student design teams. For more than 25 years, Wicks has been engaged in leading-edge consumer technology markets. At Sony, he was an integral part of the first digital cameras in the 1980s. At Motorola, Wicks and his team conceptualized and created such devices as the Moto 360, DROID franchise, RAZR (past and present), ROKR, and MING series. Beyond hardware, he has led teams that designed the first successful Chinese handwriting recognition UX for touchscreens in China, and was a champion for the creation of the Moto Maker design service. Credited with more than 40 design and utility patents, Wicks and his teams have received multiple global design awardsfrom notable institutions as IF, Red Dot, IDSA, IDEA, Good Design, BusinessWeek Design of the Decade, and the Catalyst awards. He is sought out as a respected expert on design and design strategies, is seasoned in large-scale product launches, and is regularly quoted in the media. Central to his achievements is a keen sense of markets, design sensibilities, technology and business knowledge, and the ability to synthesize broader strategies to executable consumer focused designs. Prior to Motorola, Wicks was director of strategy for Sapient’s San Francisco office and director of design at Sony, where he was a design leader in Sony’s highly innovative Sony American Studio before being offered the opportunity to start up Sony’s San Francisco-based design innovation center. Wicks serves on the advisory boards of the Northwestern’s Master of Product Design and Development Management program, the Marwen school in Chicago, and the start-up Jio. He holds a bachelor’s degree in design from the University of Illinois and a graduate degree in design from Nihon University in Japan. The Segal Design Institute, housed in the McCormick School of Engineering, educates innovators and design thinkers while expanding the research frontiers of human-centered design. It provides a variety of immersive, interdisciplinary programs for undergraduates, graduate students, and working professionals that teach collaboration and leadership in design thinking.